The MFA will open their new Art of the Americas wing to the public on November 20. RainyDayMagazine got a preview of the new wing last Friday. The building, the galleries, and the art were all spectacular. With Malcom Rogers at the helm of a world-class team, we would have expected nothing less. We were pleasantly surprised by all the technology sprinkled through out the new wing. 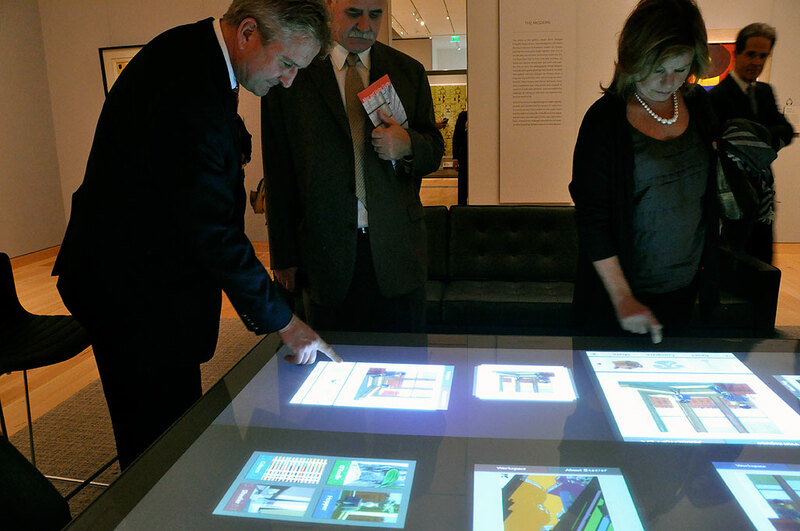 The most impressive was the multi-touch table on the forth floor. It was just THERE. Some noticed it, others just walked right on by. We, of course, zero-ed in on it as soon as we saw it. We were not able to get much info on the specs regarding the technology inside the box. 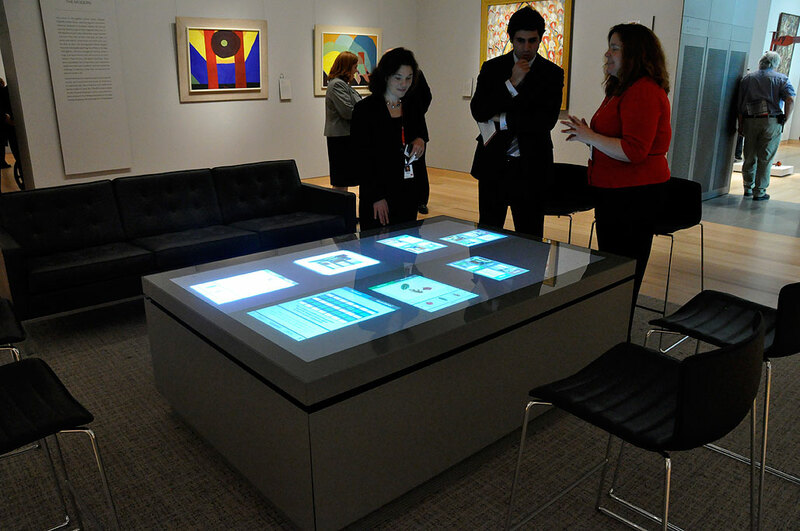 The multi-touch technology appears to be based on FTIR, the same tech demo-ed by Jeff Han in the TED conference in 2006.